I free myself from my cashmere cape and drape it around my awkwardly high chair. Perching from this vantage point, I face the rectangular table, nested among letterpress tools, jars of utensils, and shelves of carefully filed stamps. I am here without guarantee of return. Having submitted a waitlist request a few days ago, I have acknowledged that the only way for me to join this class is if one or more of these women around me chooses to leave. After interviews and introductions, our class collects sheets of paper, which we fold to create signatures, with four folios each. At the end of next week, we will each have a book to show for these efforts. There is a mathematical order and hierarchy to this. We use Mohawk SuperFine Text paper. If the paper was lighter, we would put six, eight folios in each signature. If the paper was heavier, perhaps just two or three. 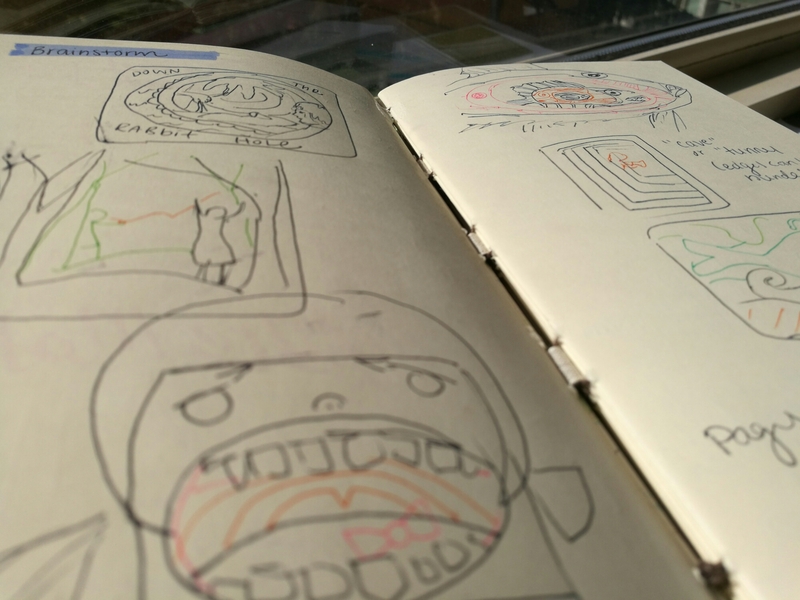 For the endsheet signatures, we have two folios of Canson Mi-teintes. Already I see the logic of this method. 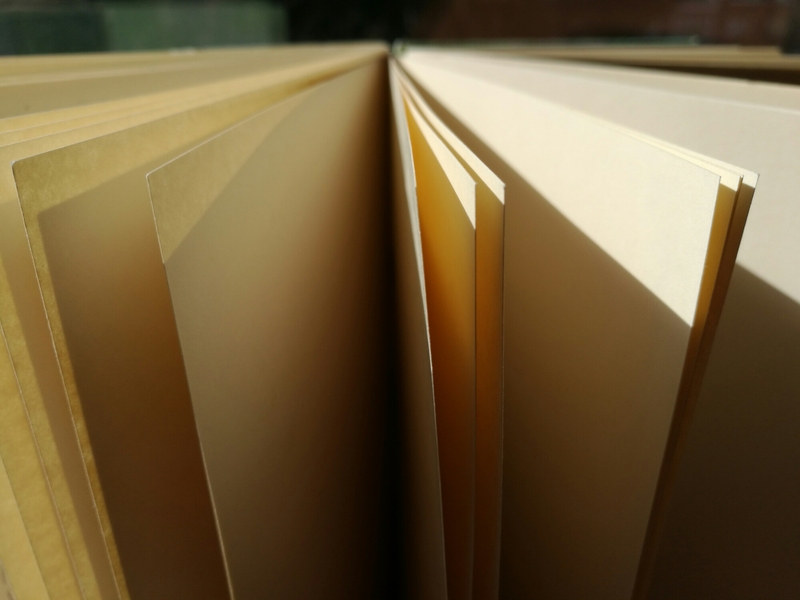 Once we open the cover, these coarse, brown sheets will transition to the creamy inner signatures, where we will do the majority of our writing. Katherine, our tall, sagely professor, tells the class that the natural splay at the fore edge of the signatures where they don’t perfectly line up is a sure sign of handmade craftsmanship in bookmaking, and that the papers are still in shock. I think of them as living components of the book that have to be persuaded to coexist with one another in new positions. When I return home, I set the pile underneath my 1300-page organic chemistry textbook to press overnight. 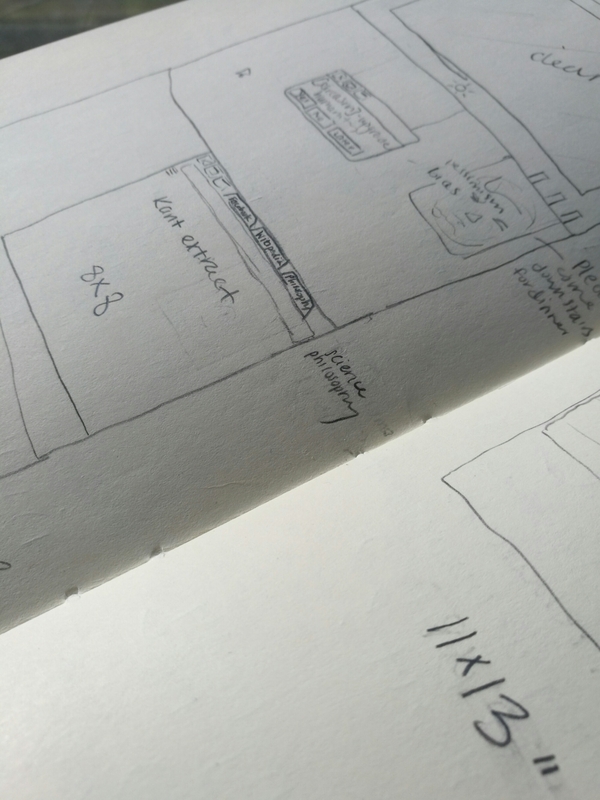 With this basic skeleton of a book emerging, I begin writing inside the blank sheets. I am reminded of a slam poem I saw performed by Luka Lesson, which describes his love relationship with his pencil. He and “she” tumble inside “her bed of white” and “make love between the sheets.” Except this time I have prepared the bed myself, before welcoming my partner inside. When I return on Monday, the class has already begun sewing their signatures together. Drew, a member of the class, shows me how to cut my tapes into thirds, Katherine helps me begin puncturing holes with a template, and she directs me to measure and cut a thread eleven times the height of my book. I see the logic to this number too. Since we have nine signatures, the thread needs to traverse each of these lengths, plus some extra leeway. My needle goes in and out, in and out. Sometimes the waxy thread knots together or gets stuck on corners. Sometimes I poke an extra hole, when it’s my head that’s tangled. I forget about biology labs, Gabriela Mistral’s legacy, and the Ysaye Violin Sonata No. 2. At the end of the session, I write five things I am thankful for inside the bound pages, as an exercise in gratitude. I sense that I ought to begin calling my book something that signifies it as more than a possession, in the way that a garden is more than a collection of plants to the gardener. 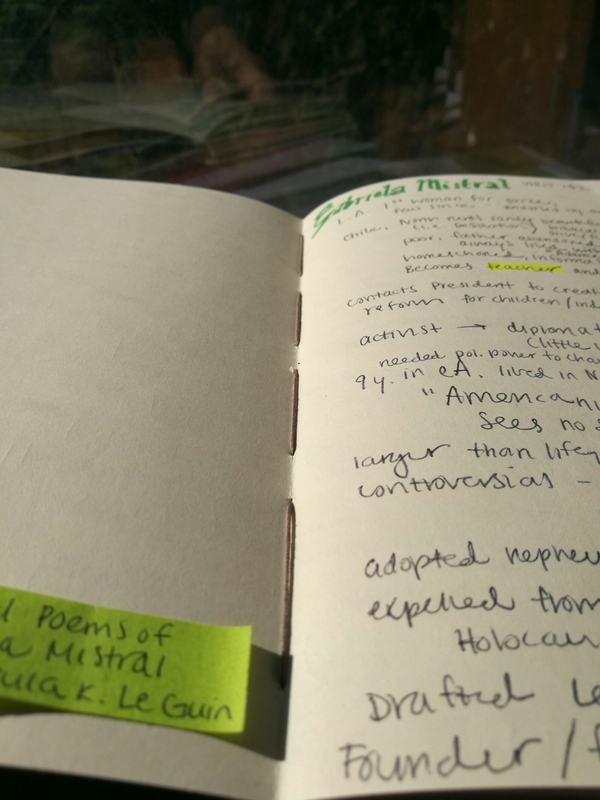 I believe that I will continue writing about poets like Mistral and Paz for the rest of this semester. I take my notebook into my first lecture in my Latin American literature class and begin taking notes in it. 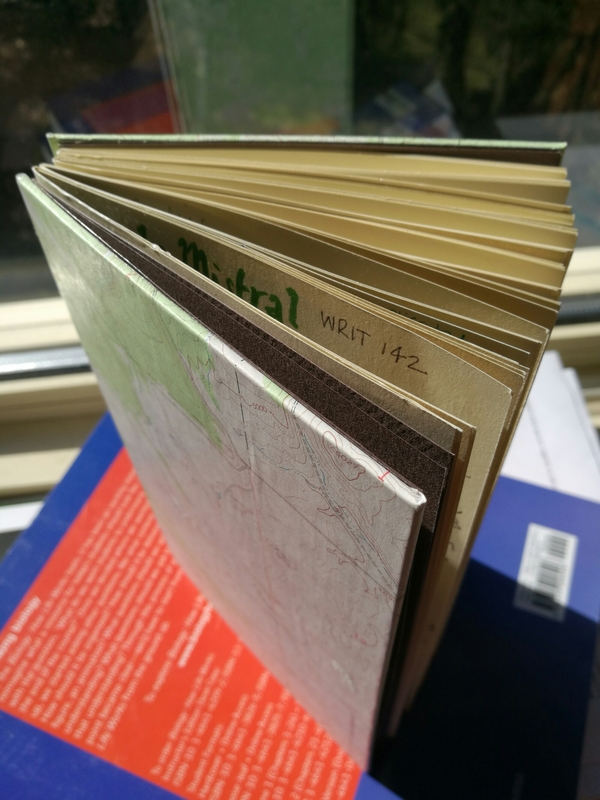 This handmade book starts me in a conversation with a girl named Katie as I transcribe themes of unbelonging, the Old Testament, and the relationship between government and art. The poems are wonderful but the discussion is not so stimulating. The same day, I walk into what I believe is my last session in the letterpress workshop. After a brief conversation on the nature of giving instructions, brainstorming, and planning, we dip into the PVA and adhere our soon-to-be covers onto card paper. We glue the edges down, and undertake the consummate conquest. 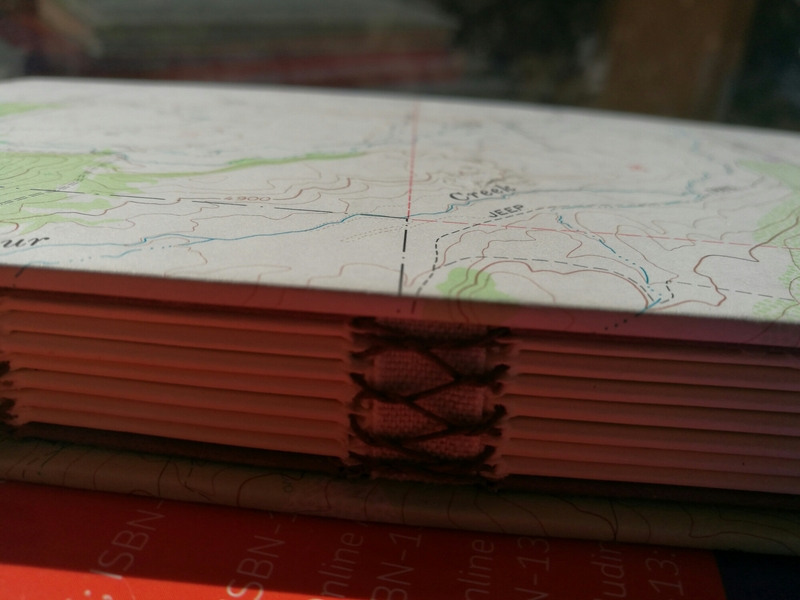 Like children trying to land airplanes, we lower these map-covered covers onto curled, waiting, glue-coated outer endsheet signatures. The objective is to make sure what we intend to be front and upward facing doesn’t end up on the back or downwards facing. This completed, I flatten the surfaces and press the fully realized package underneath my organic chemistry textbook overnight once more. I write a few pages in my personal “Paperblanks” diary. I finish my biology report in my “Moleskine” cahier. I plan the week ahead in my student planner. I write thrift shop greeting cards to a dozen or so friends. 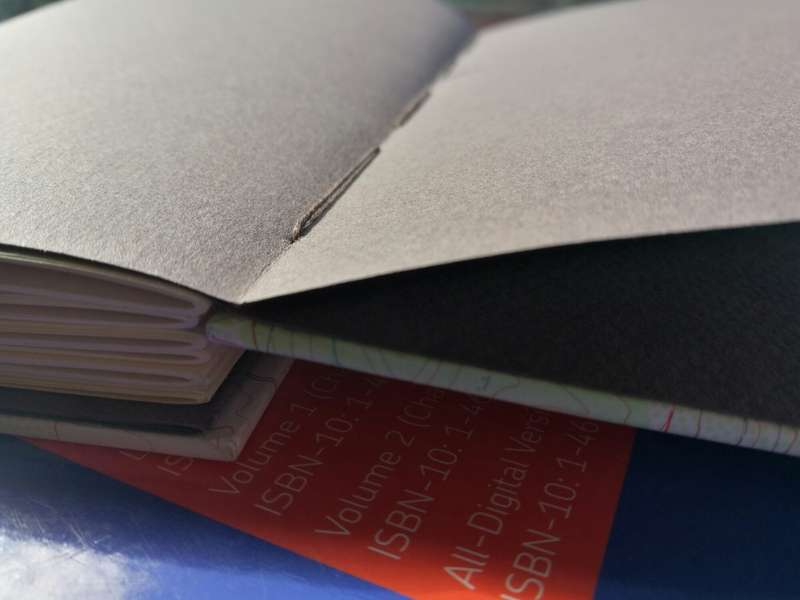 But when I pick up my handmade book from “Word and Image Studio,” or should I say, the “Annis Press,” I wonder if this is what pride should feel like. Sure, sixteen other students, in rooms of their own, have the same variations, but only mine would have that slight unevenness in the binding, the drip of glue on the front cover, right next to the word “Creek,” or a few pages on Gabriela sandwiched between a note to go to “ABEBOOKS.COM” and the “5 W’s of Journalism.” Unlike the notebooks I get at the store, where I fill the pages with the breathings of my heart, the pages have absorbed my breath even before my pencil has touched them.